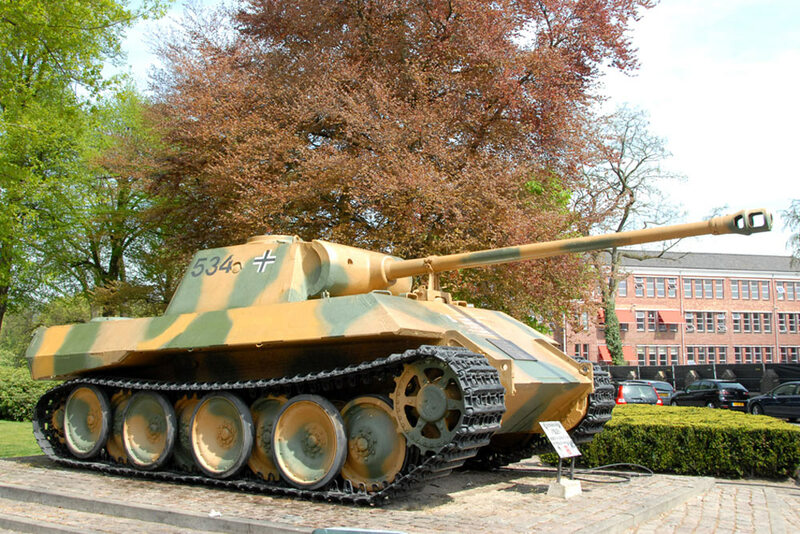 This German Panther tank (D-type) was given to Breda in 1945 by the Polish liberators of Breda. 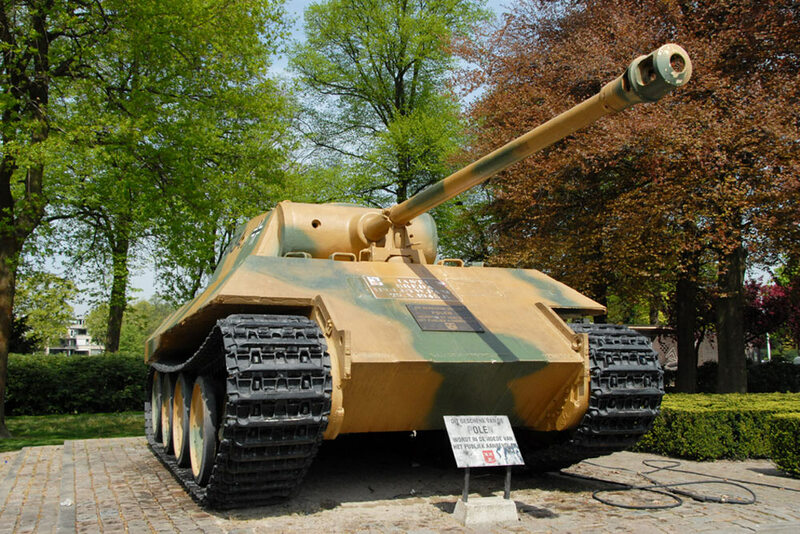 Until 2004, the tank was in its original condition. 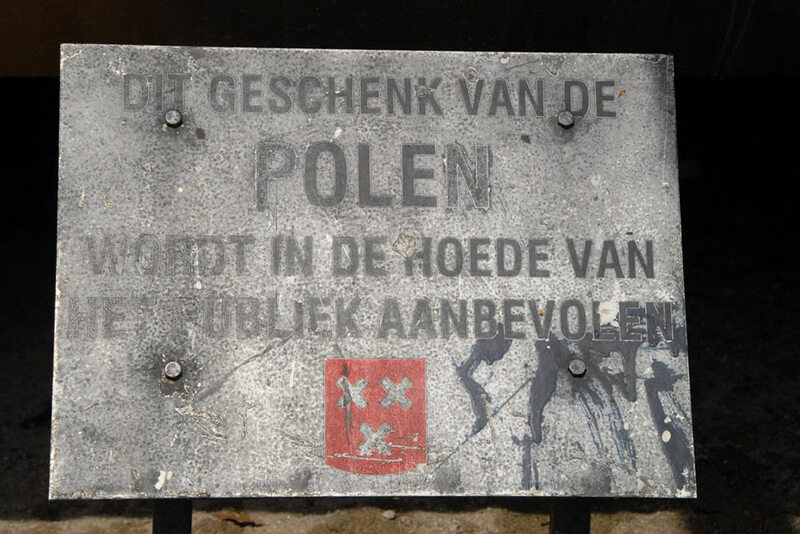 The restoration in 2004 has created a beautiful monument. The tank is resprayed in the original camouflage paint and all bad parts are replaced. 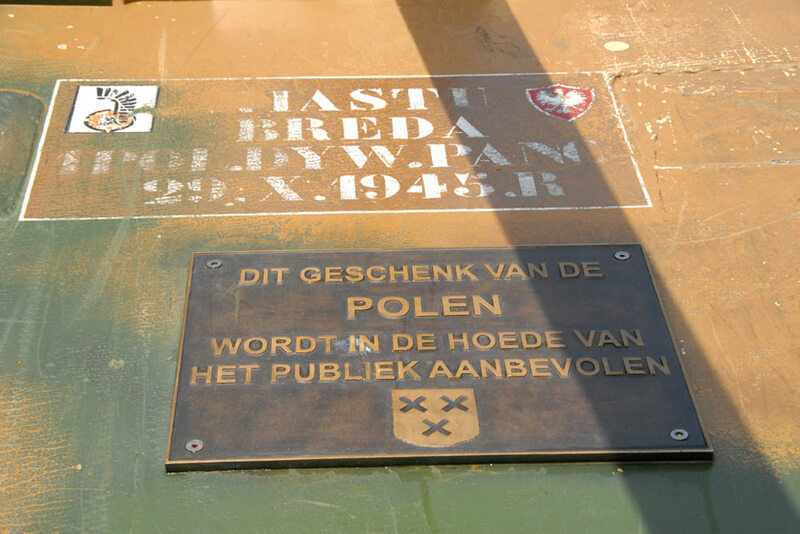 The entire remaining interior and engine of the tank have been removed since this tank is only used as a monument, it has no added value. Practically all parts of the tank are overhauled and preserved by a special coating. The tank is also placed on a pedestal to protect the bottom from moisture. 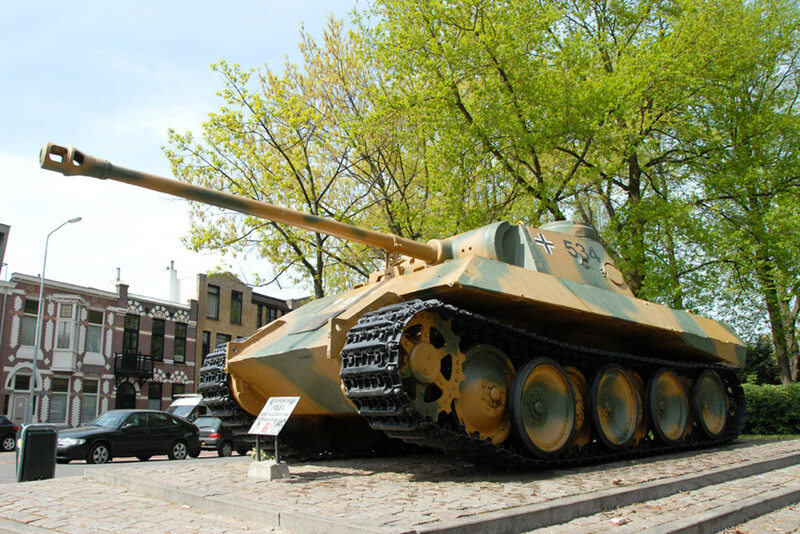 This is one of two Panther tanks in the Netherlands, the other one can be found in the Warmuseum Overloon.